Making the most of a beautiful spring day and attempting to shake off the last of the jetlag after returning from overseas a few days before, I headed out to Namadgi National Park for a hike. The destination was Booroomba Rocks, which is a 45-minute to one-hour drive from Canberra, depending on your starting point. I’ve recently returned from an overseas trip where I did a lot of hiking. I was keen to keep up the fitness gained. While I knew the Booroomba Rocks hike was nowhere near the standard of what I was doing in Norway (which often needed chains needed to ascend and had sections covered in snow) it was good to get back into the Australian terrain and hike without any rain! This hike starts just off Apollo Road in Namadgi National Park. To get there, you head out through Tharwa past the Namadgi National Park Visitor Centre on Naas Road. Apollo Road is on your right. Shortly after entering the park gates, you’ll find an access road and camping area on your right. It’s a further three kilometres to the hike starting point. The dirt road to the carpark is a little washed out, so I opted to walk the three kilometres in, parking my car just where you drive in. People seemed to get in with their two-wheel-drives but a bit of extra exercise never hurt anyone. The access road in has a few hills but it’s a fairly easy and peaceful walk. 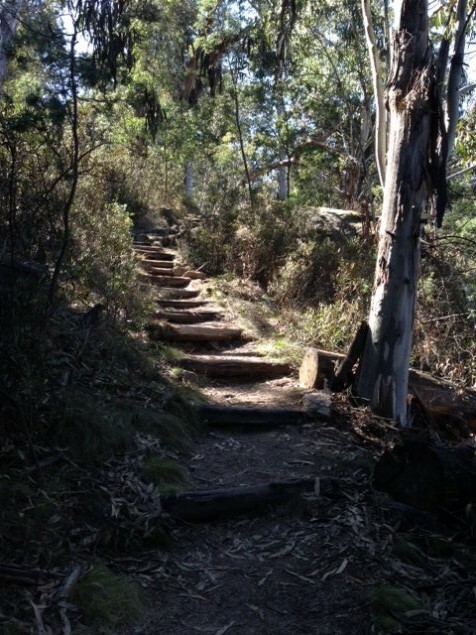 Once you get to the starting point, it’s a steep but quick 30 minutes up to Booroomba Rocks. Once you reach the top, there are various viewpoints if you like to scramble over rocks like me and get as high as you can. 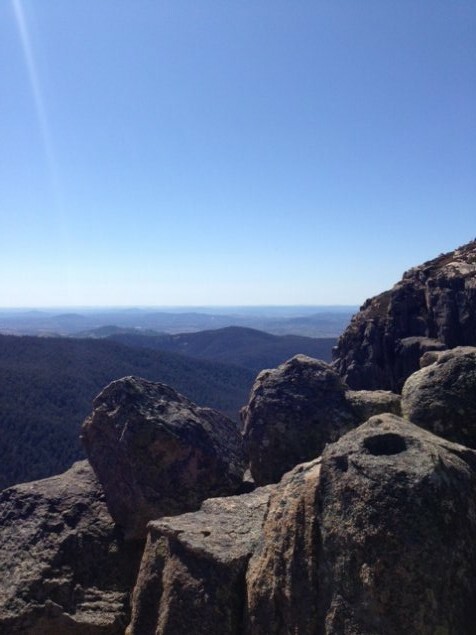 You can see as far as the Telstra Tower on a clear day and also across Namadgi National Park. Booroomba Rocks has similar terrain to Gibraltar Peak with stunning sweeping views. There are lots of places to sit and take in the views, so it would be the perfect location for a picnic. There were plenty of people around so it seems quite a popular hike. All up it was a two-hour return trip from the campground (due to walking six kilometres in and out). It was a great half day hike. 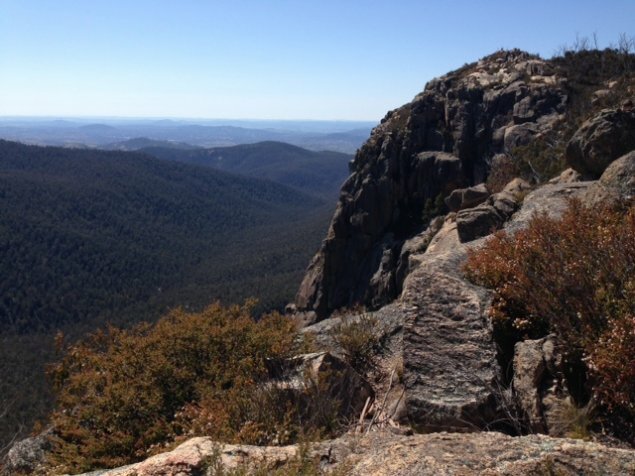 If you’re feeling particularly energetic, you could combine this hike with another in Namadgi National Park. 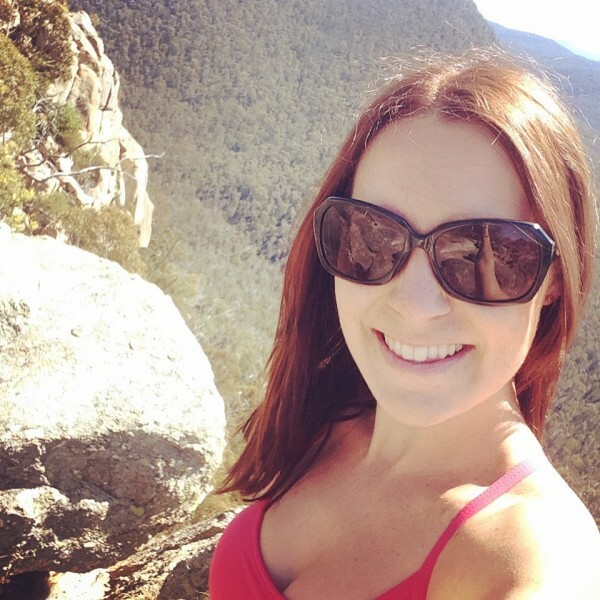 Mt Tennant is nearby but since it’s is a good five- to six-hour return hike, I’d recommend one of the other, shorter hikes in Namadgi or Tidbinbilla.